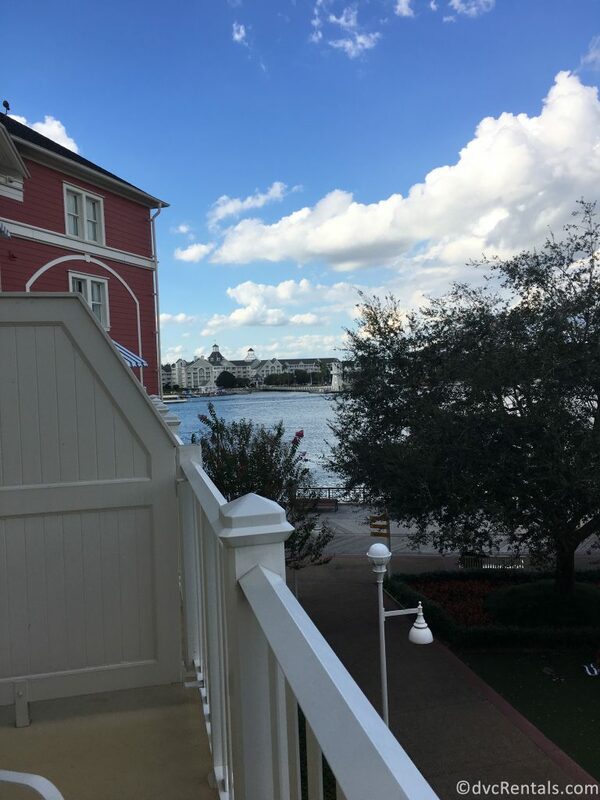 I had the opportunity to stay at Disney’s Boardwalk Villas for six nights! 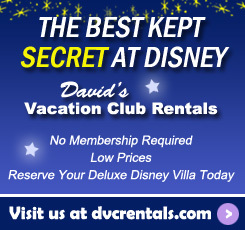 I know Boardwalk, as well as Disney’s Beach Club Villas which is located across the small lake (Crescent Lake) from each other, are two very popular resorts among our guests and my team members here at David’s Vacation Club Rentals. 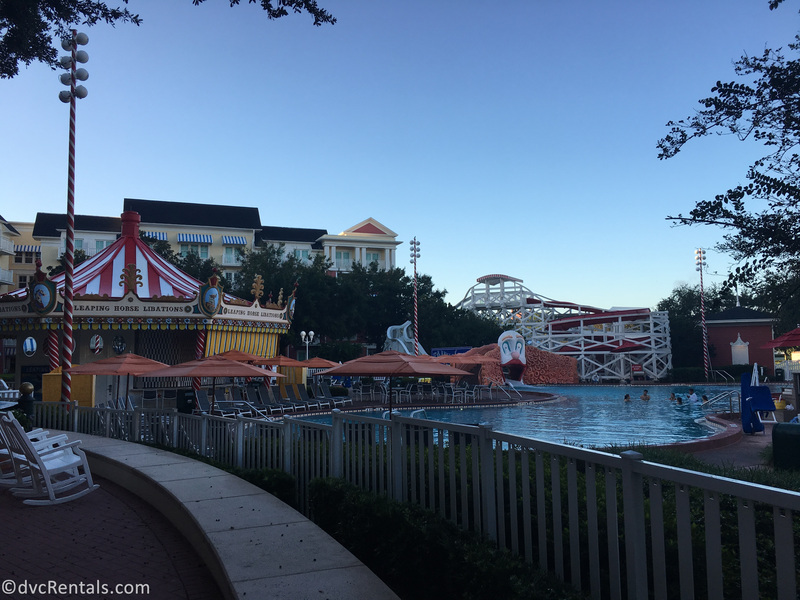 They just so happen to be the two closest resorts to Epcot and are within walking distance. I have had the chance to visit/tour the resort before but have never stayed. 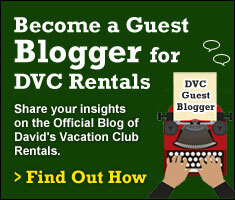 In my opinion, all of the DVC resorts are absolutely stunning and have their own unique charm that makes them magical. 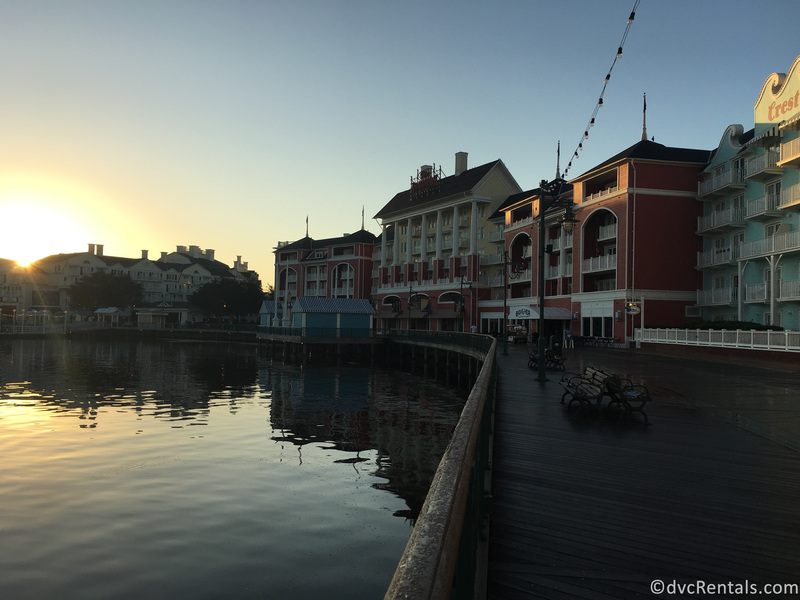 With that being said, prior to staying, Disney’s Boardwalk Villas was not necessarily on the top of my list but ‘oh boy’ that has changed. I was hit with Disney’s pixie dust, and I would not want to stay anywhere else! First of all, my room was a dream come true! At Disney’s Boardwalk Villas there are two booking categories; Standard View and the Preferred View. The difference is first the price and second the view. The standard view is a room with no view or obstructed view – which may include a view of the parking lot or loading bay. The standard rooms are usually near the front of the resort when you are making your way to the resort’s entrance (pictured above to the left). There also is a significantly less inventory of the standard view than the preferred view category. The second view type is the Preferred view- this category is broken down into two views, the garden/pool view and the boardwalk view. As you may have guessed these views consist of either a view of the pool, water, garden or Boardwalk area. I was booked into the Boardwalk Studio Preferred view (garden/ pool view). 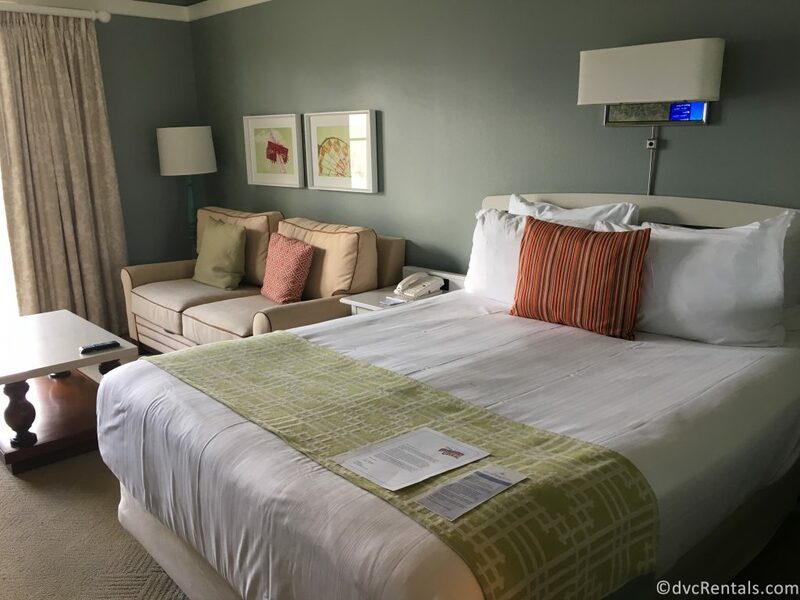 There are many websites, blogs and even people out there that recommend specific room numbers or views when it comes to certain resorts. 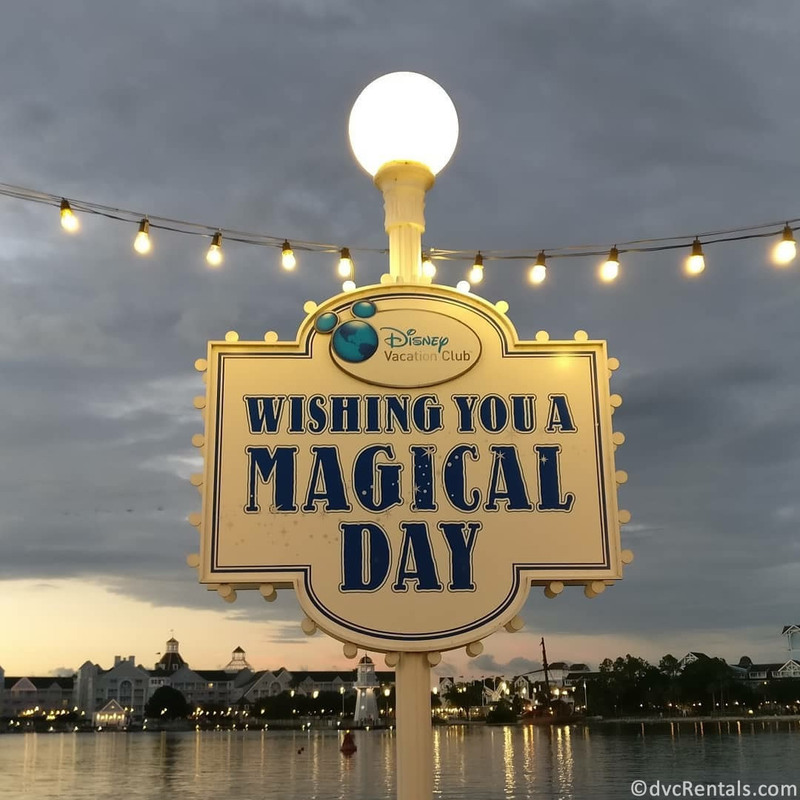 You can put in a room request, but they are not guaranteed as rooms are assigned by a Disney Resort Cast Member prior to arrival/ the date you check-in. I did not put a room vicinity request for this trip as I would be happy with whatever view I got! I happen to be assigned a room on the third floor close to the elevator and overlooking the village green. This room exceeded my exception and had a huge smile on my face when I entered the room. 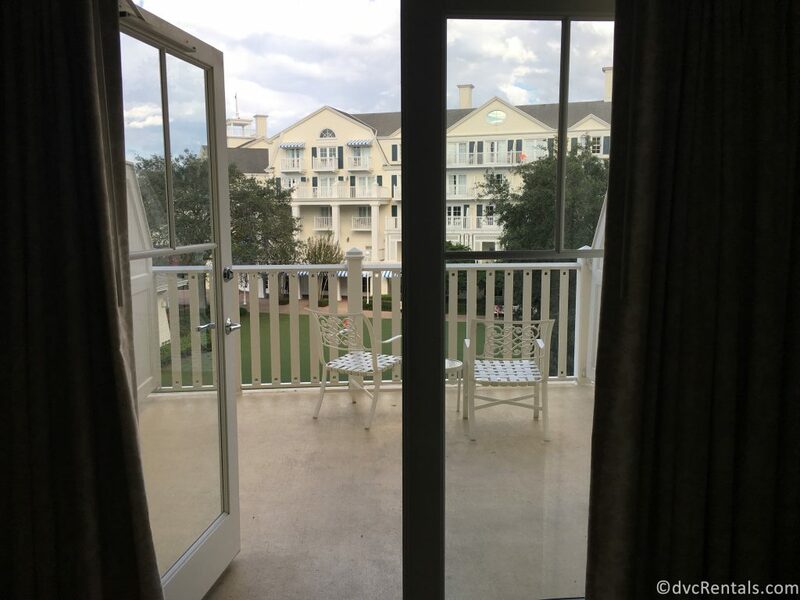 What is so great about the third floor looking over the village green is that it is considered a garden view (in the preferred category), and you can potentially have a partial view of the boardwalk. Just like my room did! Also, it had a larger balcony then the floors above my room. I personally never found it to be too noisy from my room when I was sitting outside on the balcony or inside. 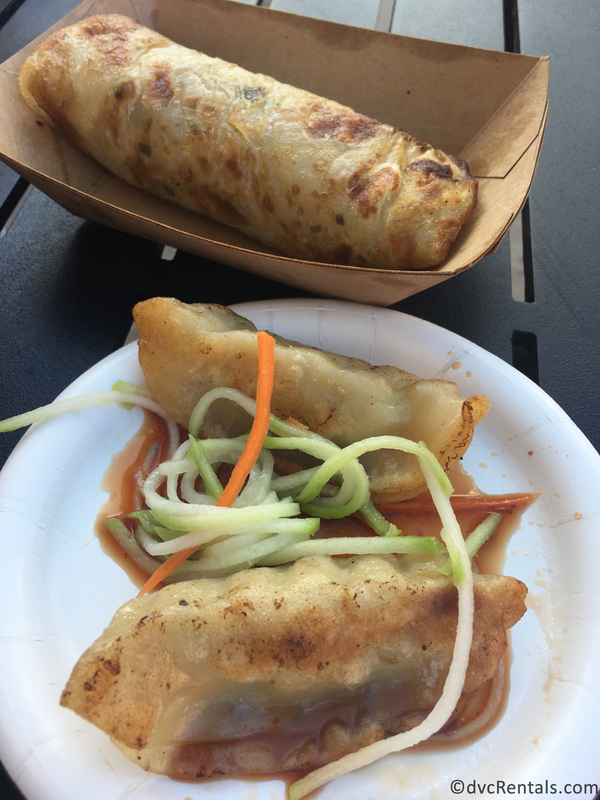 There are endless options of places to eat from sit down restaurants to on-the-go. 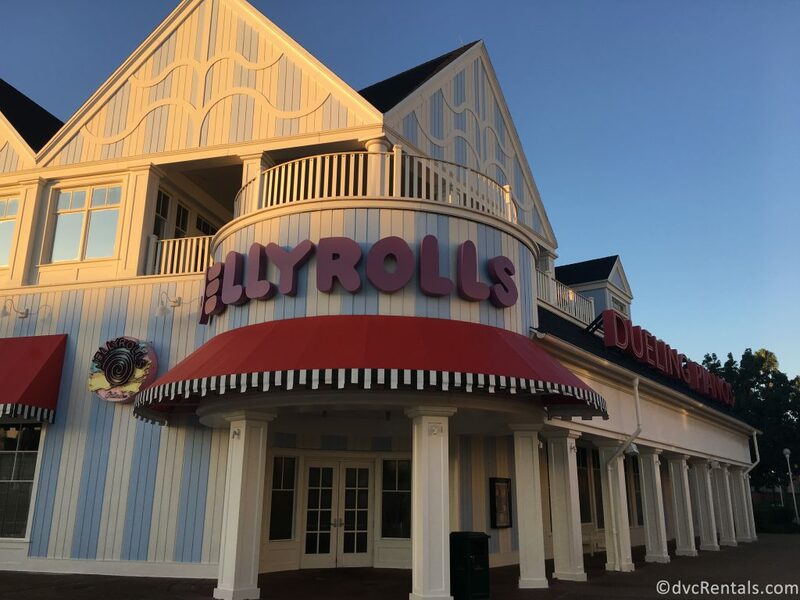 From this trip and my previous trip, I have had the chance to try most of these food options offered at the Boardwalk. To be honest, I have never been disappointed in any meal that I have gotten from these places. My highlights from this trip, hands down where Trattoria al Forno and AbracadaBar which are conveniently located right beside each other. 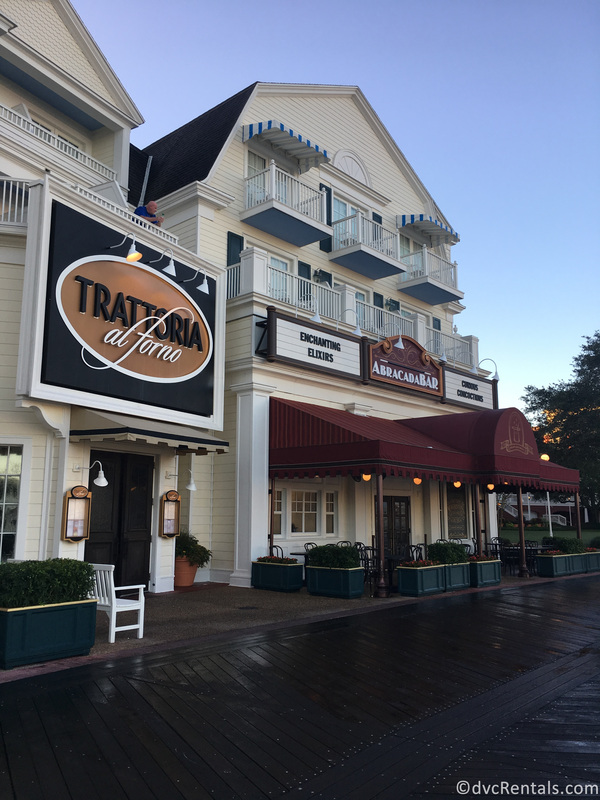 Trattoria al Forno is a sit-down restaurant which offers Italian cuisine at dinner time and in the morning they offer character dining for breakfast. 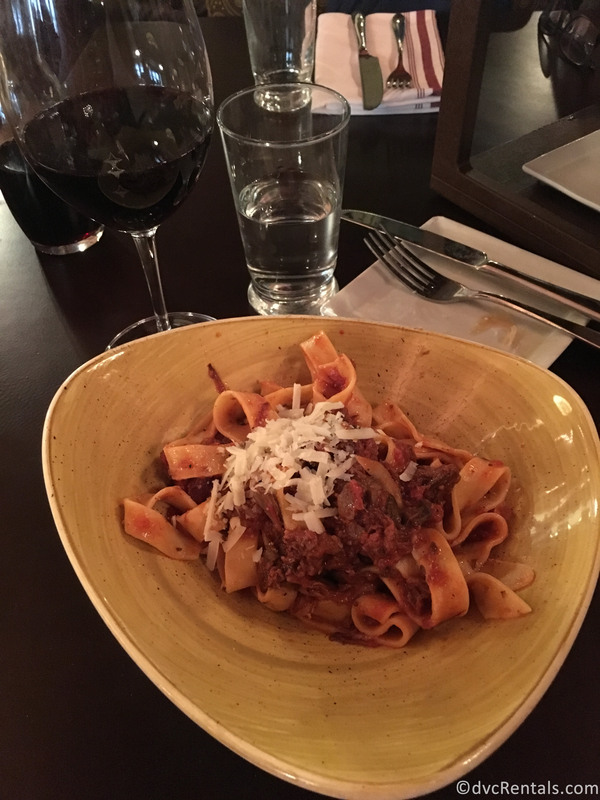 I ate there for dinner and had the Pasta alla Bolognese. This was not just your average Bolognese it had Braised Short Rib, Smoked Pork Belly, Tomatoes, Mushrooms and Pecorino Romano in it; I dream of the day I can go back and have more! 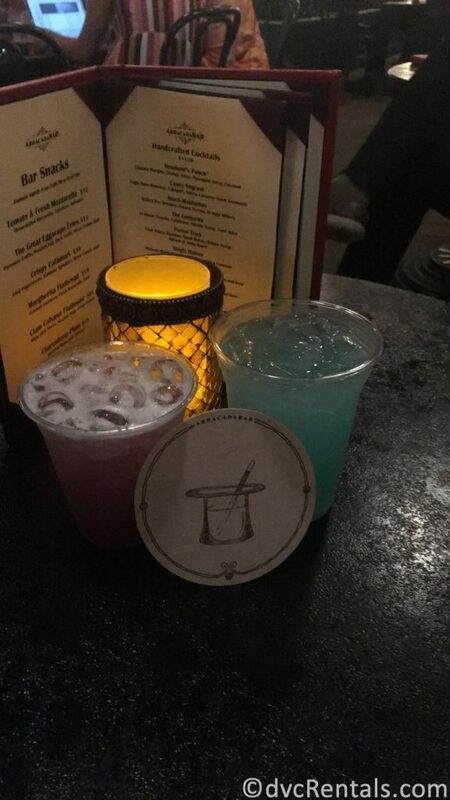 I went to the AbracadaBar twice, and on the first night I had one of their specialty cocktails (Seashore Sweet on the right). 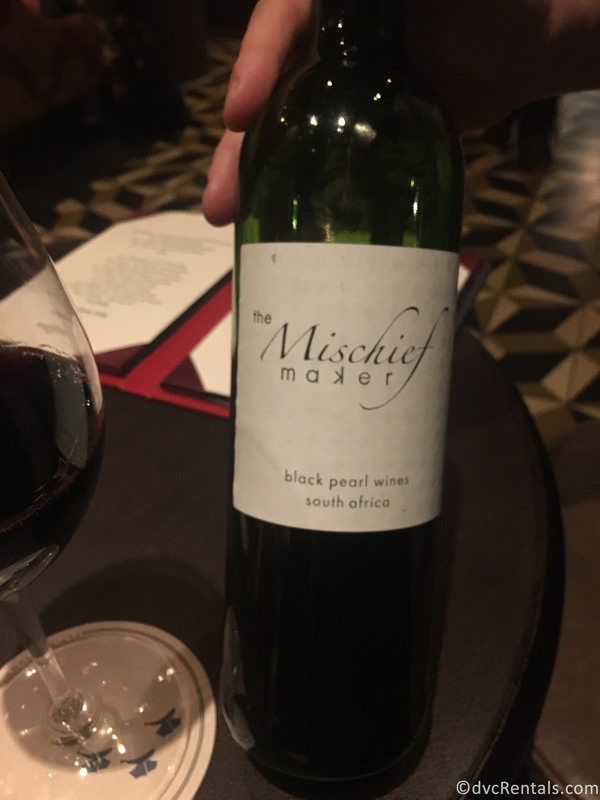 The second time, I sat inside with my co-workers and enjoyed a glass of wine. What made this experience memorable was our server. We were asking her for recommendations and she came over with a bottle of wine. She explained where the wine was from and told us how the winemakers come to the restaurant and talk to staff about the products and pairing. Which I thought was so unique, adding a more personal touch to our experience. The Boardwalk is full of life. After the parks and dinner rush, walking down the Boardwalk seeing all the lights and entertainers really is magical. 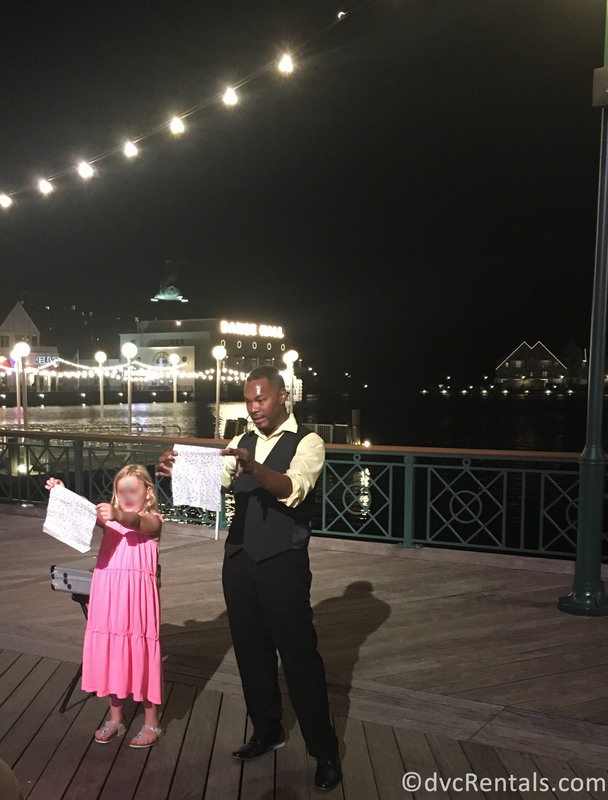 The entertainers will make you laugh and even make you a part of the act! If you like live music and don’t mind a crowded bar, I would highly recommend the dueling piano at Jellyrolls! If you have the opportunity to visit Disney in the Fall, I would highly recommend checking out the Epcot International Food & Wine Festival. Due to my passion for traveling, I have been fortunate enough to have visited numerous countries around the world. The reason I love traveling so much is the excitement that comes with experiencing new places, embracing the cultures, meeting new people and most of all enjoying authentic cuisine. 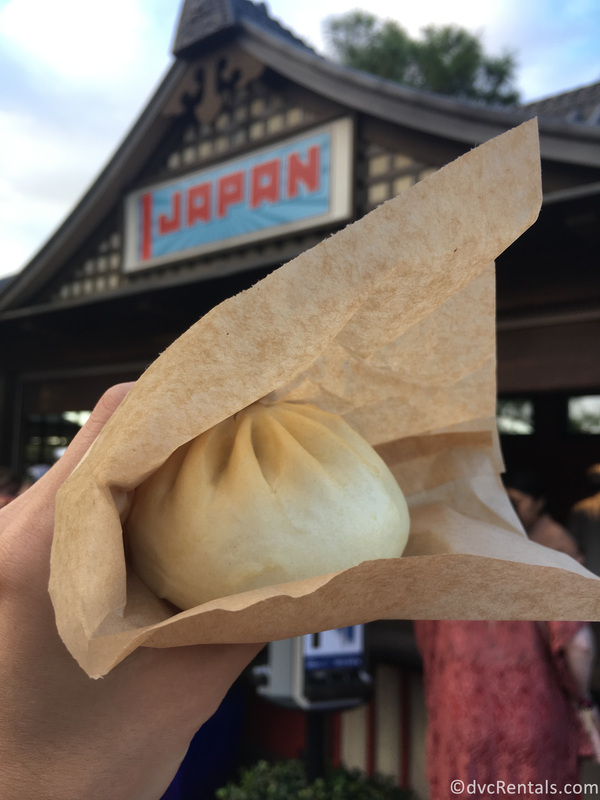 I was so excited that I was able to experience this festival this at Epcot. 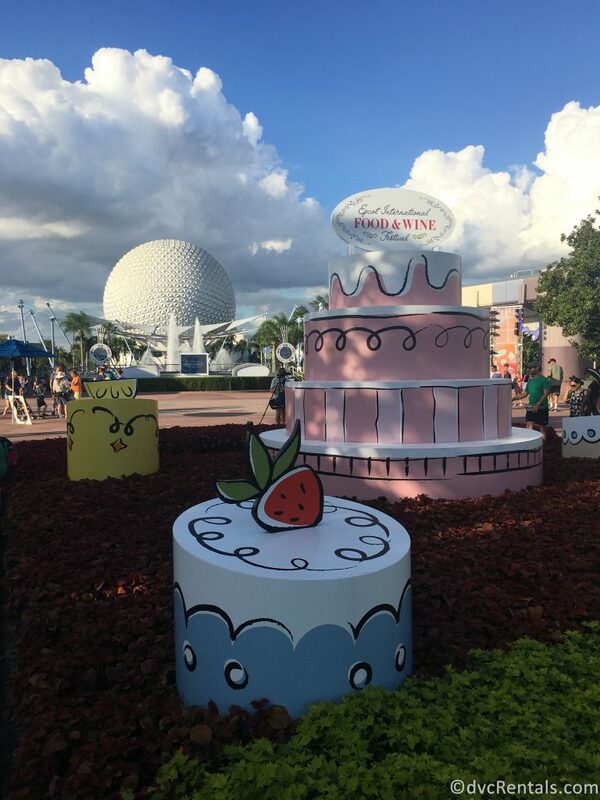 The Food & Wine Festival has grown so much in popularity that it has gone from starting as a 30 day festival to 75 days in 2018. Disney does a wonderful job at recreating the settings to make you feel fully immersed in each country when visiting the 11 pavilions. Also, the wonderful Disney Cast Members that are from all around the world that can share their insight and experience about their country. At the pavilions, the Cast Members are from that specific country. Whereas, for the Food & Wine booths the Cast Members are from all over not specifically from that country. Every Cast Member wears a name tag and under their name is where they are from. How to Handle Food & Wine and Make the Most of Your Time. 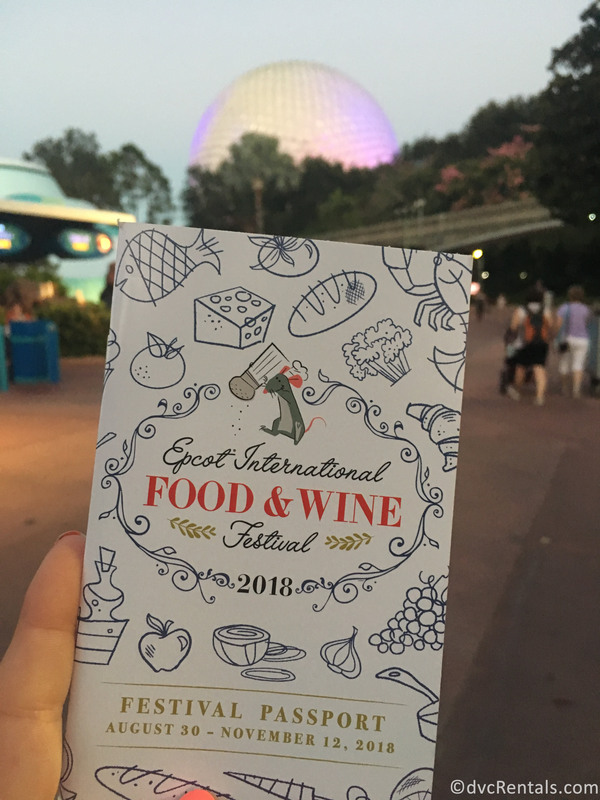 Being new to the Epcot International Food & Wine Festival, my co-workers and I decided to print off a list of all the food and drinks that were being showcased this year at each country and booths prior to us arriving at Disney. I found this to be extremely helpful, and we were able to see what countries we had the same and plan around the ones that were not on each other’s list. You know the saying sharing is caring – this is truly applicable when it comes to Food & Wine. Like I mentioned before having a list was helpful but when your traveling party is getting different items, your eyes and stomach lights up, and you want to try them too. The portions I found to be a good size, even to share with your company. This is the perfect way to experience more and not end up with a full belly too quickly! 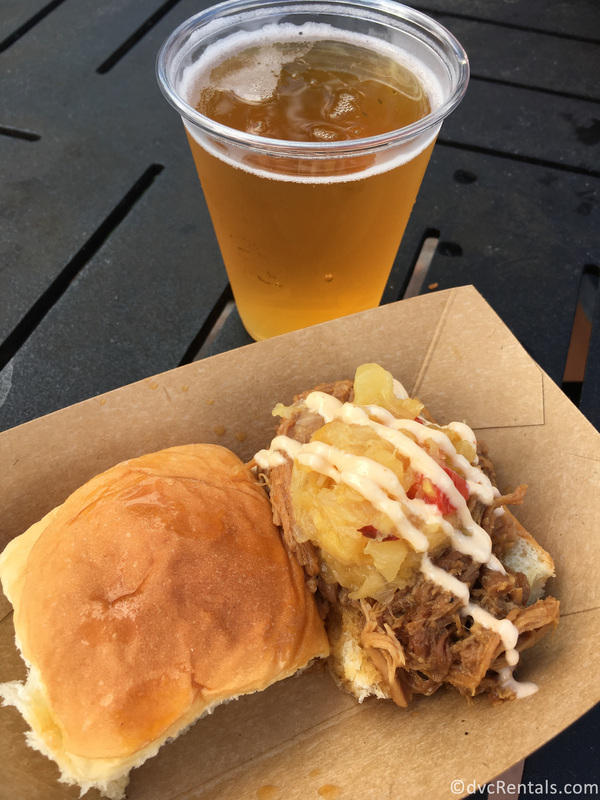 When it comes to paying at Food & Wine, you can pay cash, credit, Disney gift cards or with your magic band. We decided to use Disney Gift Cards, which was super convenient and helped us keep track of how much we were spending. Once you purchase your item, the receipt will tell you the remaining balance on the bottom. Also, gift cards are reloadable so you can reload your card and then continue with the fun. They also have Food & Wine gift cards on a wrist coil, that way it easily accessible to pay and it keeps the line moving. 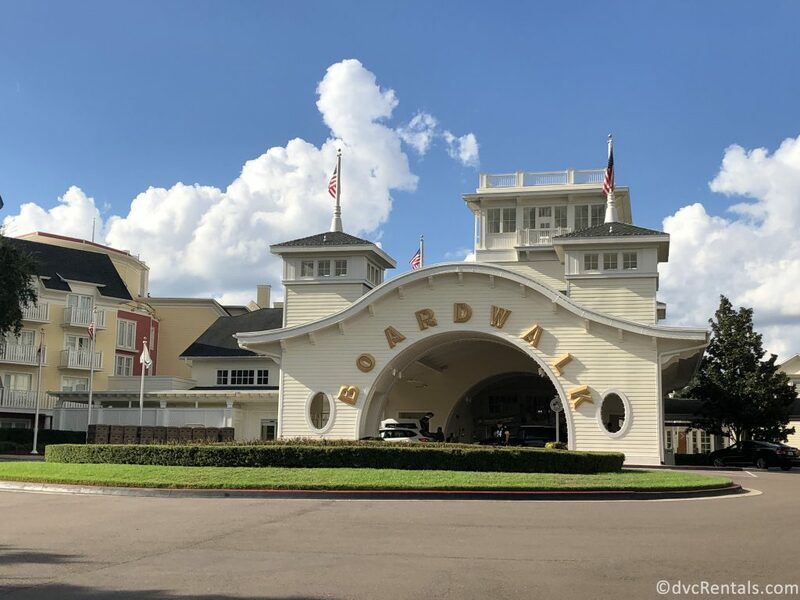 Whether you are enjoying all the fun staying at Disney’s Boardwalk Villas (make sure you go down the slide in the clown pool – you won’t regret it) or just enjoying all the fun activities the Boardwalk itself has to offer – from the food to the entertainment. As well as the fireworks, rides, and food at Disney’s Epcot. You will not be disappointed, and that is no hocus pocus! Voila, until next time Disney!